The 2018 Millionaire Maker runner-up reflects on his days as an actor and transition to poker. What's Next for Sam Razavi? The British poker player Sam Razavi might be best known in America for his runner-up finish in the WSOP Millionaire Maker event this summer, where he came second in a field of 7,361 to claim a career-high score of $724,756. He’s also pretty well known as the four-time APPT Player of the Year. But what you probably don’t know is that he is a trained actor. Before he sat down to play poker, he trod the boards and turned from shy guy to entertainer. Acting would lead him to the game of poker. This is what Sam Razavi did... Before the Game. Razavi got the acting bug and it was a terminal case. He dropped out of school and took a two-year course in acting at the Academy of Creative Training in Brighton. Razavi now has a son, Eli, with his wife, fellow poker player Menchu Ouano. He believes the confidence acting gave him is an important platform for any child in society today. “I used to be really shy; I don’t know why I decided to do drama." Razavi was coming to the end of his time in Brighton at ACT and he went directly into a professional tour which lasted a year. From cosy Brighton to a tour of German schools, part of a company of six actors, it’s clear that the camaraderie that would lead to poker was itself hugely fulfilling for the outgoing Brit. Razavi was in the common room shared by all the actors when one of the company brought out a pack of cards. Razavi’s first game of poker went badly, but he went away and improved so much that by the next time he saw that actor friend, he was keen for a rematch. "It was literally like waking up in the morning, clicking buttons and the money was just rolling into my account." Razavi had improved. In fact, he’d moved up the levels so rapidly that poker was far more lucrative than acting. It was enough to convince Razavi to swap a life in theatres for the neon charm of a life as a poker player. The game was impossible to resist. Suddenly, Razavi was making the kind of money in a month that his fellow actors wouldn’t earn in a year on the boards. Despite the obvious switch in how much harder doing what he did a decade ago now is, Razavi doesn’t believe poker has been cracked, or is any harder as a game than it was. "As long as I give myself enough shots, odds are I’ll make a final table again." Despite his lack of enthusiasm for push/fold ranges or GTO numbers, Razavi’s numbers have continued to rise. In June, he was as close as it gets to winning his first WSOP bracelet. He came second to Arne Kern in the Millionaire Maker, agonizingly close to the gold. Having gotten so close, will Razavi ever have another chance to win a WSOP bracelet? Razavi himself is convinced that he will. 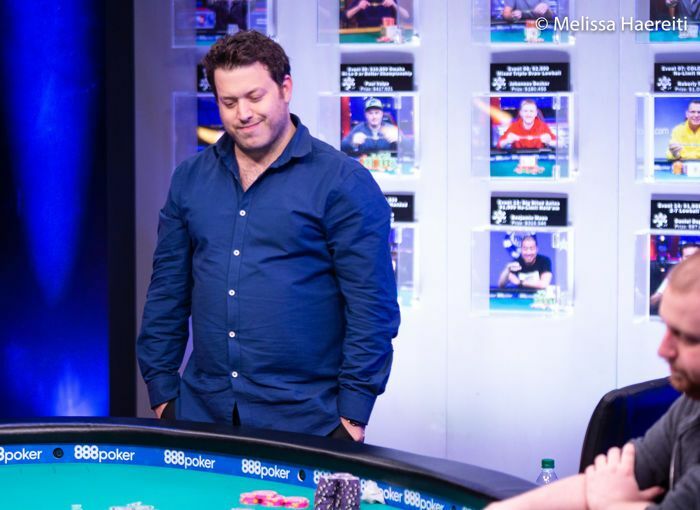 Sam Razavi at the final table of the 2018 WSOP Millionaire Maker with Joe McKeehen. The personality and entertainment that Razavi brings to any poker table is no accident. Everything in his personality has a use, from acting lessons to fun at the felt. The level of performance Razavi has put into his acting performances at the felt, Hollywood always comes calling, whether he’s in Asia, Europe or the states. When it comes to Sam Razavi’s future, poker and acting will both play a big part. Since returning to live in England, Razavi has shifted back to dedicating more time to the stage than the felt. 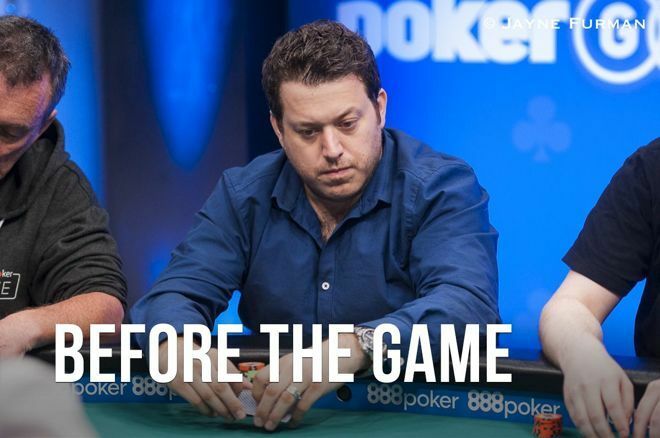 Sam Razavi may be pursuing roles in both poker and performance, but if anyone can pull off the trick of combining the two, it might just be the man who became a poker player because of his acting. His future in poker will be continue to be aided by who he was — Before the Game.